Ted Davis founded Grace Strategic Services, Inc. in December 1997. He is an experienced leader, manager, strategist, and world traveler. His current work includes strategic management consulting, executive coaching, strategic leadership development, human capital consulting, and facilitating management meetings. Ted served as a commissioned officer in the United States Army for twenty-two years. His many leadership positions included serving as the senior executive for large organizations, as well as staff planning positions. His overseas assignments included Germany for three years and Korea for two years. During the Persian Gulf War (1990-91), Ted served on one of the senior planning and coordination staffs. Other highlights of his career included teaching graduate-level education programs as the Chief, Strategic Studies at the Army’s Command and General Staff College. In this capacity he trained numerous Army strategists. Following retirement from active duty, Ted joined a manufacturing company as a Vice President. He developed the company’s strategic business plans, developed marketing plans, reorganized the international department, and traveled extensively to open new markets. Having decided to start his company, Ted leveraged his strategic management expertise to help businesses and individuals to improve their effectiveness. Current and recent consulting and training support contracts include P1 Group (a national construction firm), Cook Composites and Polymers (a chemical manufacturer), SAFC Biosciences (a biopharma manufacturer), The Guidance Center (a not-for-profit community health organization), The Emprize Group (experts in emergency medical transportation), The Association of Community Mental Health Centers Kansas (a public advocacy associate), US Environmental Protection Administration, MITS (an IT company), Bryan Cave LLP (national law firm), and the Greater Kansas City Chamber of Commerce. As a group chairman with The Executive Committee (TEC) (now called Vistage), Ted was an executive coach and business advisor to CEOs and presidents. During his five year tenure as a group chairman, several of his members doubled the size of their companies. All used their TEC experience to improve operations. The Environmental Protection Agency selected Ted to help pilot their executive coaching program. After a successful pilot program, EPA made the coaching program a regular part of their leadership development, and Ted continued to coach mid and senior-level executives. His successful leadership development programs include developing and conducting five programs for the Kansas City Chamber of Commerce. Ted helped the Chamber develop its one-of-a-kind international leader development program entitled Global Leadership Opportunities for Business Executives. Ted facilitated the program for over six years, and it earned an international reputation for excellence. Ted then developed an executive and a mid-level leadership development program for the Chamber staff. The Chamber asked Ted to develop a replacement for their CEO Roundtable and a leadership development program that they could offer to their members. This led to the very successful executive training program for Chamber members and a replacement program for the CEO Roundtable. Recently, Ted helped a national construction company enhance its human capital development programs by establishing its corporate university, improving performance and career management policies and procedures, and enhancing human resource management processes. Additionally, Ted taught strategic management, marketing, and entrepreneurship for Benedictine College’s Executive MBA and undergraduate programs. Four graduating classes elected Ted to be the “Instructor of the Year.” Ted has also taught the FastTrack Program for the Kaufman Center for Entrepreneurial Leadership. 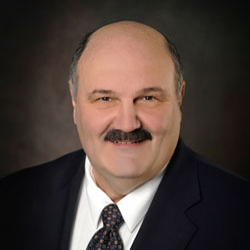 During his long career as a leader and planner, Ted’s analysis, planning, and consulting efforts include projects in land management, environmental protection, business systems reengineering, organizational design, leader development, talent management, export readiness, and national security issues. Ted has a Masters of Science degree in Systems Management from University of Southern California and a Masters of Arts degree in International Relations from Boston University. Let’s schedule a time to discuss your business goals. This is completely risk-free, no obligation call. We promise that it will be a productive use of your time.